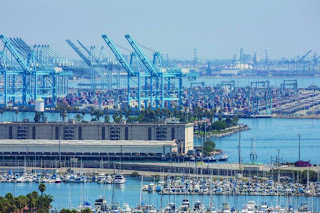 1) Port of Los angeles-The number one container port and leader in container volume and cargo value sees furniture, auto parts, electronics, and plastics come in and sends out paper, waste paper, pet and animal feed, scrap metal, fabrics, and soybeans. 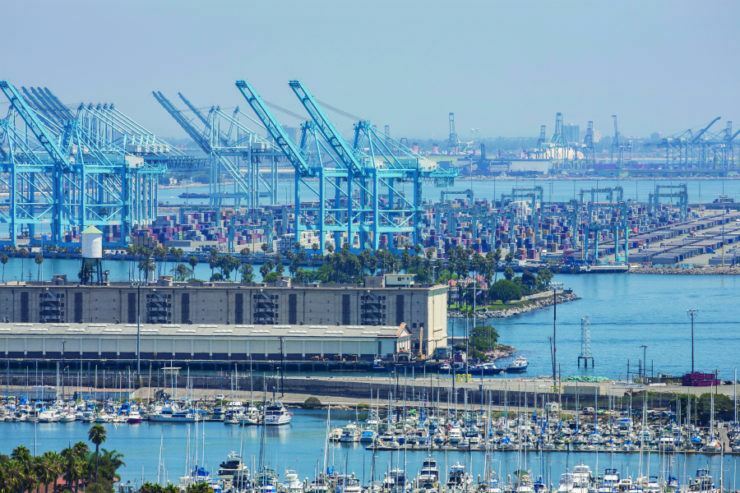 2) Port of long beach-The port receives bulk petroleum, metal and metal products, furniture, machinery, and motor vehicle parts. 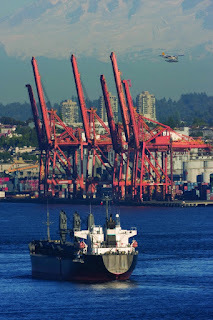 Wastepaper, animal feed, and scrap metal seem to be popular outbound cargo for the West Coast; the Port of Long Beach is also a big exporter of bulk coke. 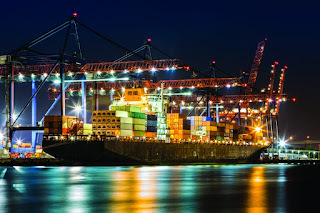 3) Port of new York and new jersey-Imports include beverages, plastics, preserved food, furniture, and machinery; exports include wood pulp, vehicles, scrap and waste, and plastics. 4) Georgia port authority-The Port of Savannah brings in chemicals, food, iron and steel, retail consumer goods, and minerals, and sends out food (mostly poultry and citrus), wood pulp, clay, and paper. 5) Port of Vancouver-the port is one of the main importers to Canada, bringing in household goods, auto parts, construction materials, machinery, produce, and beverages. 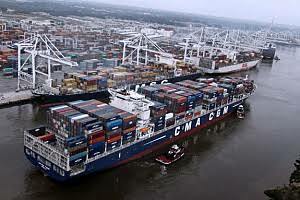 Lumber, specialty crops, wood pulp, meat, fish, poultry, and basic metals account for the cargo being sent out. 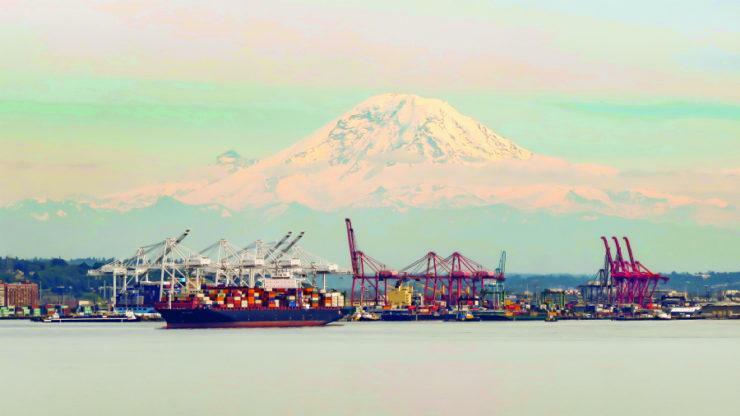 6) The Northwest Seaport Alliance: Seattle & Tacoma-Inbound cargo includes apparel, auto parts, footwear, electronic equipment, and heavy machinery, while primary outbound cargo includes grains, cereals, frozen fish, beef, pork, frozen vegetables, and tobacco. 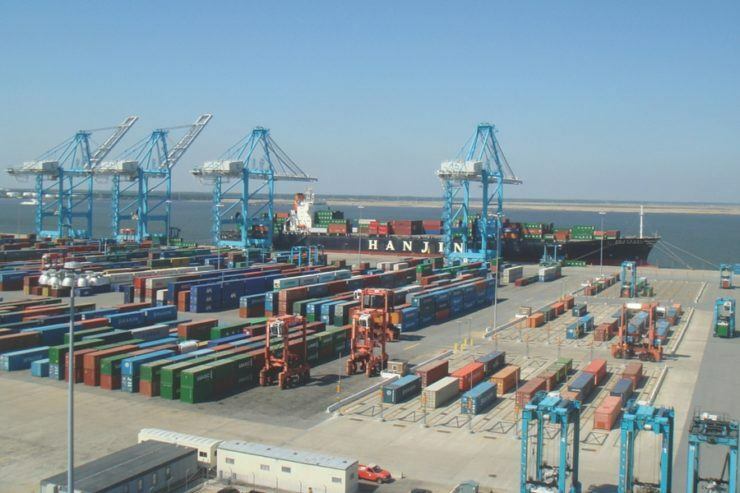 7) The port of virginia-Furniture, auto parts, metalware, plastic products, granite, and coffee make up a majority of the port’s inbound cargo, while soybean products, logs and lumber, grocery products and bulbs hold the majority of outbound products. 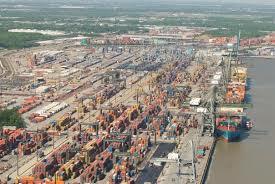 8) Port of houston-Inbound cargo includes food and drink, machinery, consumer goods, iron, and steel. You’ll find plastics, chemical and minerals, food and drink, machinery, and automotive parts among the products going outbound. 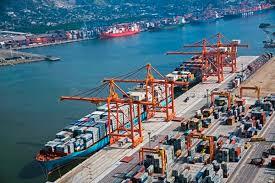 9) Port of manzanillo-Its primary inbound cargo includes rolled coils, steel, and canola seeds. 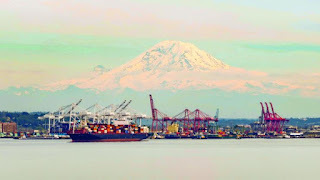 Outbound cargo includes iron ore, zinc, copper, and clinker. 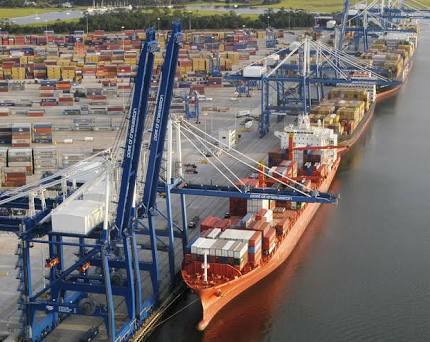 10) Port of charleston-The major exports leaving the Port of Charleston include paper and paperboard, wood pulp, auto parts, logs and lumber, fabrics (including raw cotton), and general miscellaneous cargoes. 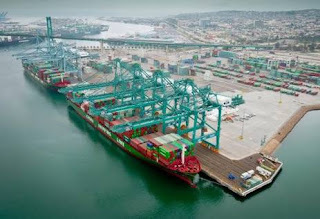 Other exports include synthetic resins, metal scrap, chemicals, fresh and frozen poultry, machinery, automobiles, grapefruit and lemons, lawn and garden equipment, furniture, plastic products, and medical equipment and supplies.